First degree in Biology at the Technion. Second degree in Bioinformatics at the Weizmann Institute. Ph.D at the Weizmann Institute. Post-doc at the lab of Prof. Doron Lancet at the Weizmann Institute of science. Participated in the Technion Excellence Program: October 2000 – July 2003. The first was under the guidance of Prof. Benjamin Podbilewicz from the Biology faculty: "Bioinformatic Analysis of Eff1 gene from c. elegans". The second was under the guidance of Prof. Michael Kozlov from the Tel-Aviv University and in cooperation with Beni Poidbilewitcz on "Mathematical model of vulval development in c. elegans". 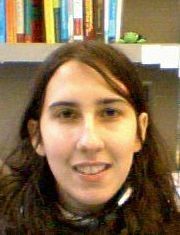 Today (2017): Noa is a research scientist at the Institute for Systems Biology in Seattle. Recommendation to Program participants: "Use the program to study whatever interests you. Multidisciplinary will greatly help you later on".